Kilkenny manager Brian Cody arrives at the Bellefield GAA Complex, Enniscorthy for the Walsh Cup semi-final against Wexford. ©INPHO/Laszlo Geczo. April is a designated club only month and GAA rules state that county players should spend the month with their clubs. However, it is apparent that the majority of counties are continuing their training throughout the month of some shape or form. Realistically, who can blame them as they prepare for their respective championships, many of which will be in action during the month of May. 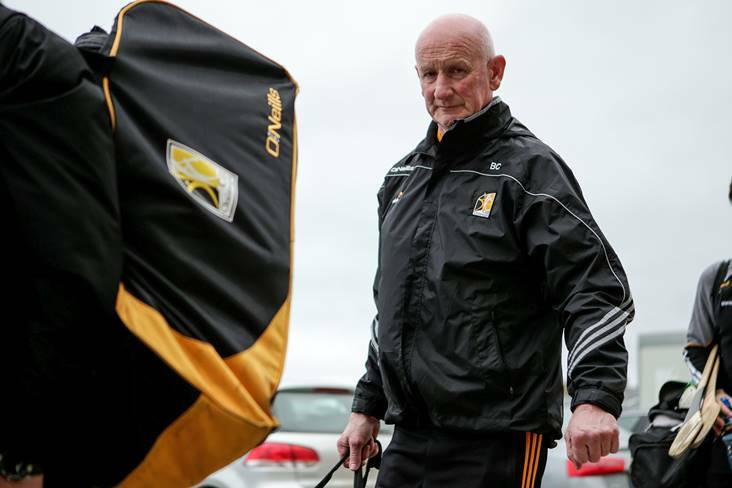 The Kilkenny People reports that the Kilkenny management team trained twice ahead of the opening round of the senior, intermediate and junior leagues last weekend. In Kilkenny, there will be three rounds of the league played during this month and many clubs were firmly of the opinion that they would have full access to their players during this period. At a county board meeting earlier in the year, clubs agreed that April would be free for the clubs to prepare for the league/championship. Nonetheless, the fact of the matter is that Kilkenny play Dublin in the Leinster SHC on May 11th and going a whole month without preparing for that clash makes no sense at all as it doesn’t for any other county preparing for championship.